Very comfortable, I wore them all day when I got them and my feet didn't hurt. they will go great with my period correct Civil War era dress. Will be buying from this site again. 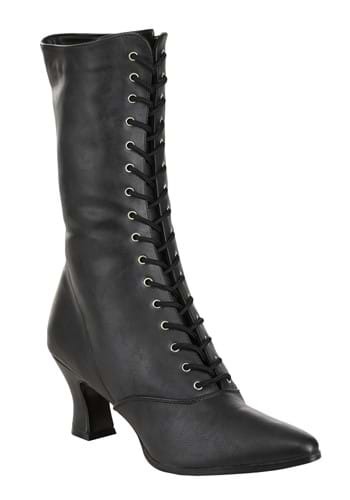 Was looking for "costume" boots, but these are SO comfortable, and fit me so well that I will wear with non-costumes! I did order a 9, as I wear 8 1/2 and they fit perfectly. I have a round foot, and was worried about the pointed toe. The half size extra was just right. Would like to order....but, need to know the size of the heel? I cannot find that information anywhere. Thank your feedback! We are working to add this information to the product page.